navkarsys.com also provider of Domain registration. You can contact us for registration of domains. At TGI Softech, we believe in providing the full value and cost to our customers comprising of all fees and charges, reliability and functionality of systems, availability and quality of customer support, and our registrars’ long-term viability. Website Domain Hosting Service Providers in Ambala, Haryana. 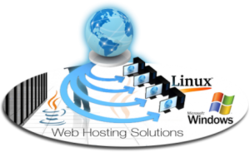 ... hosting service where many websites reside on one web server connected to the Internet. Photo Dekho is a free image hosting service that allows you to upload, manage, share, modify, distribute and popularize your photo collection. It gives you free access to an online photo editor that can be used to enhance your photo quality and make it look more attractive. Website hosting is a type of internet hosting service that allows individuals and organization to make their website accessible via the WWW. It serves as a foundation stone for online existence and consequently online promotion. It is a mode through which companies or individuals launch their website on www i.e. World Wide Web. A long list of FREE extras - email, website & more. New Customers save 25% Offer Ends April 30th! We have the perfect web site hosting solution for your business needs , a fantastic uptime history of 99.9%, state-of-the-art equipment, control panels, ultra fast redundant multiple DS3 fiber optic connections, superior service and fast responsive support Our hosting services is committed to providing high quality web sites.